Hot Tub, Grandpa's Cowboy Cottage, Relaxing and Private! 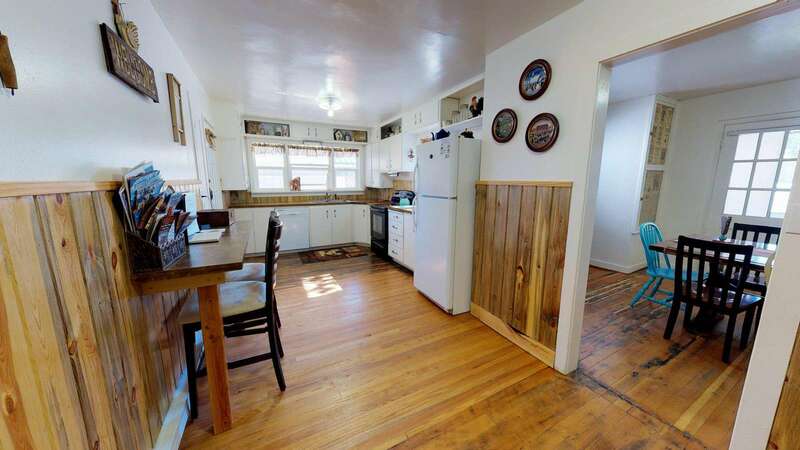 This Adorable 3 Bedroom Grandpa's Cowboy Cottage with a Private Hot Tub is sure to attract your attention. Decorated in cowboy collectibles. A great place to stay to visit all 14 Parks and Monuments. Sleeps up to 9. 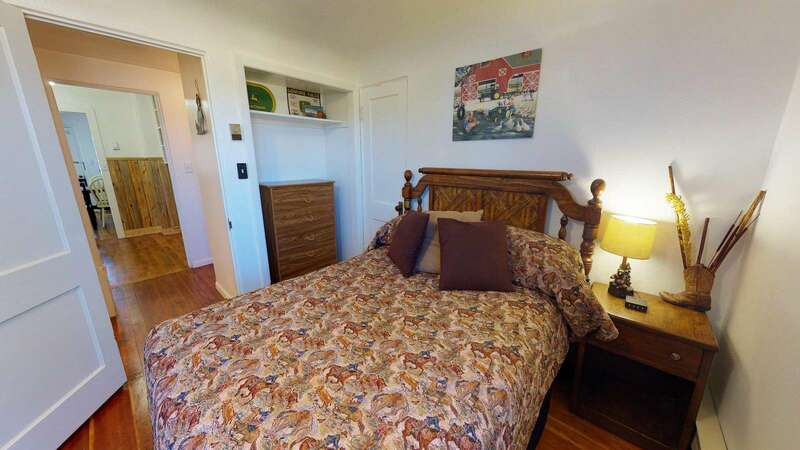 Come enjoy a stay at this fantastic Grandpa's Cowboy Cottage. 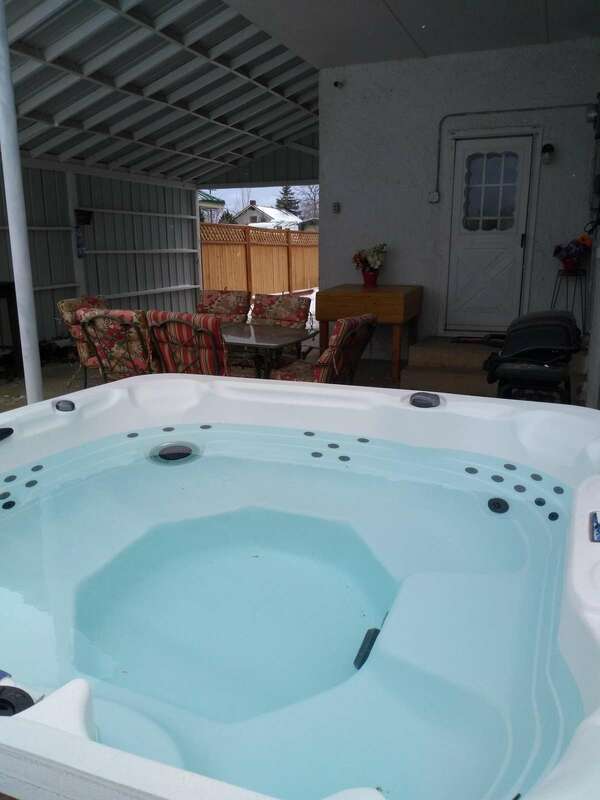 It comes with a Private Hot Tub, covered patio, patio furniture, and a barbeque grill. 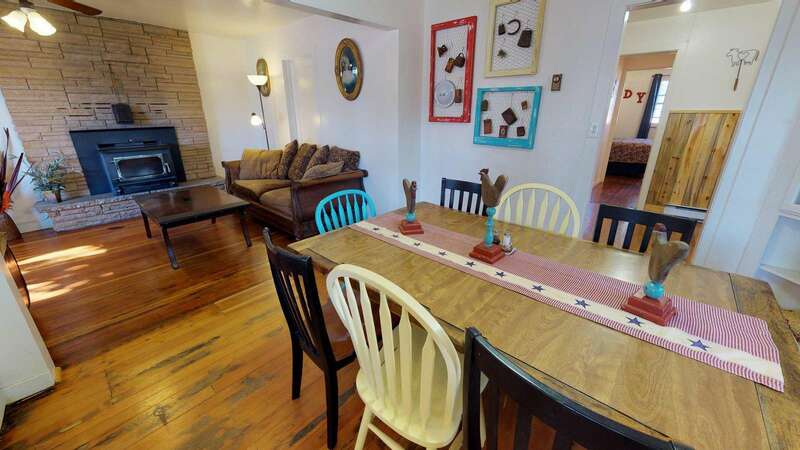 It has a full kitchen, with plenty of room, and a dining room where you can enjoy a nice meal after a long day exploring. Relax in the living room and watch a show on the smart TV with access to hook up to your own streaming accounts using the free high-speed WI-FI. Your group can then retire to the bedrooms to rest up for another exciting day exploring canyon country. 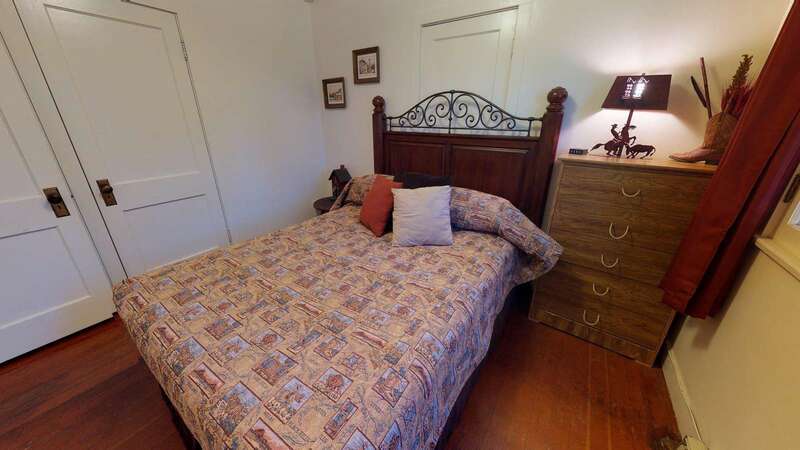 There are three bedrooms with an optional day bed in the main rooms. Two have a single queen bed and the third has a full sized bed with two twin size beds bunk style. 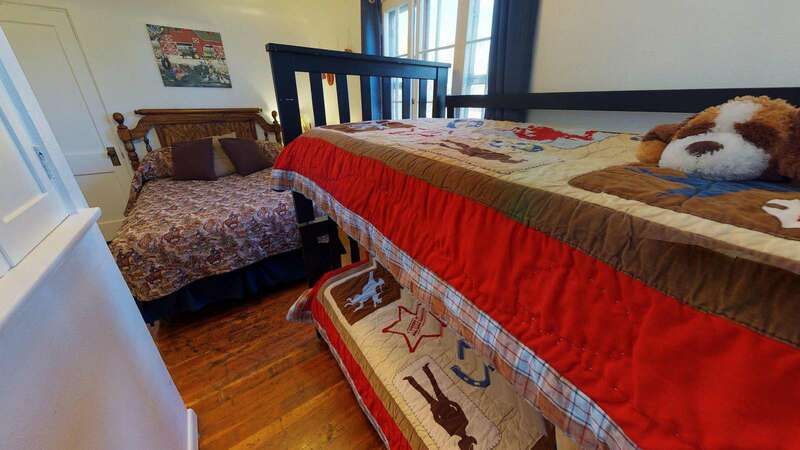 Large trees adorn the grounds, the Cowboy House is Pet-Friendly and has a Pack & Play for the youngster. 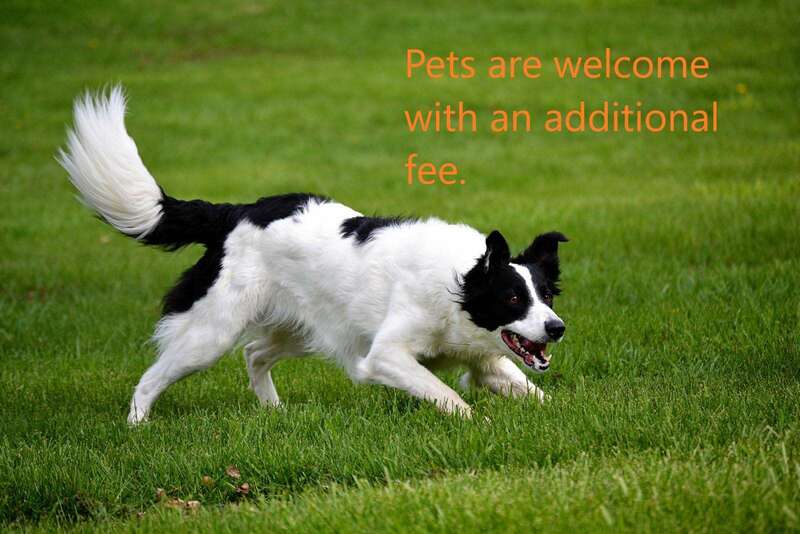 For your furry friends we provide an indoor/outdoor pet crate that you can use if they need to be left at the property alone or during the night. You will be just minutes from Edge of the Cedars, and the Dinosaur Museum. You will be in the heart of Blanding, a peaceful small town that contains a grocery store, gas stations, fitness center, parks, and a hospital (We hope you don't have to visit there!). It is central to 14 National and State Parks and numerous ancient ruin sites. Including Bear's Ears, Natural Bridges, Hovenweep, Needles, and much more. Be sure to contact us if you want any help planning your trip. We love sharing this beautiful country with you and have secured some discounts for our guests. 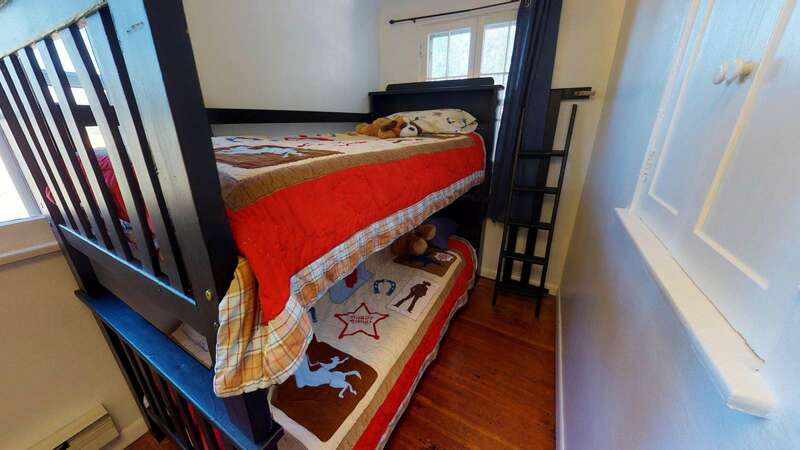 This property has 1 Full(s), 1 Bunk(s), 1 Day Bed(s). Cowboys up! A great bunkhouse for the troops and plenty of space to roam. 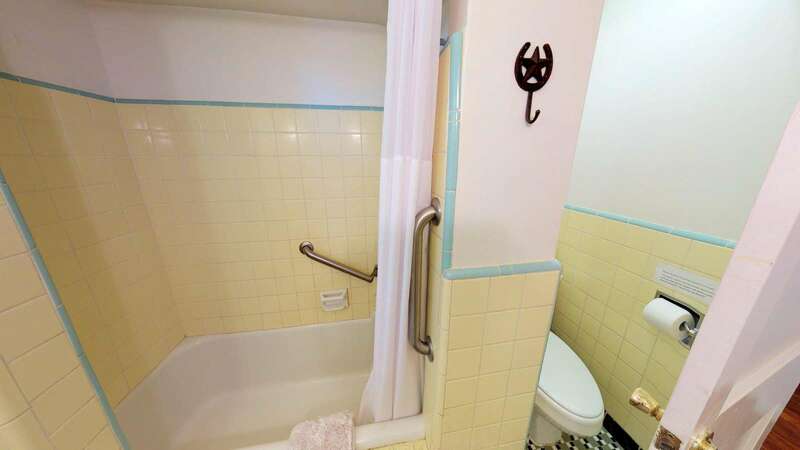 Lots of authentic touches of a simpler time with modern amenities. Thank you for hosting us to adventure is the beautiful canyonlands. 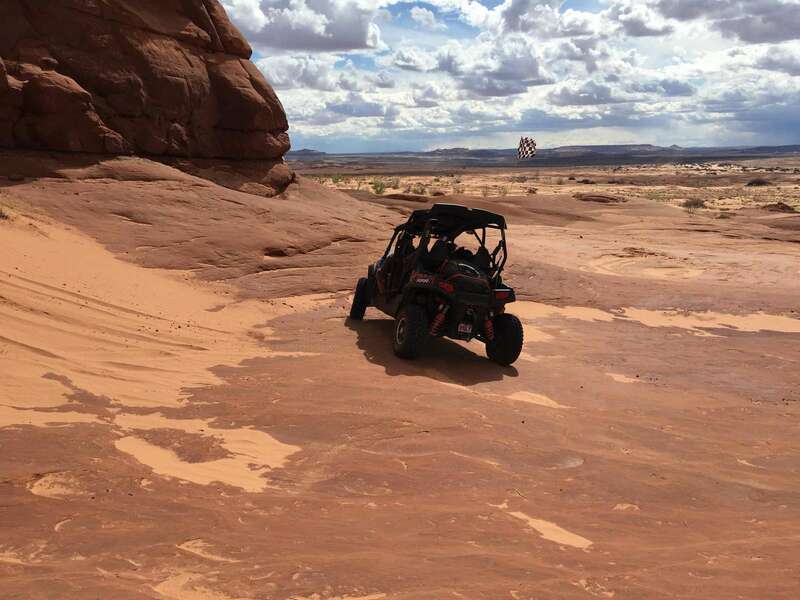 Great location to explore southeastern Utah. It is blocks from the Tesla Supercharger in Blanding and the big sights (Monument Valley, Natural Bridges, Hovenweep, etc) are all within range of a Tesla. Our daily routine was having a pot of coffee (coffee provided) and starting a meal in the slow cooker (also provided), touring all days, stopping at the Supercharger each evening, then relaxing on the couch. 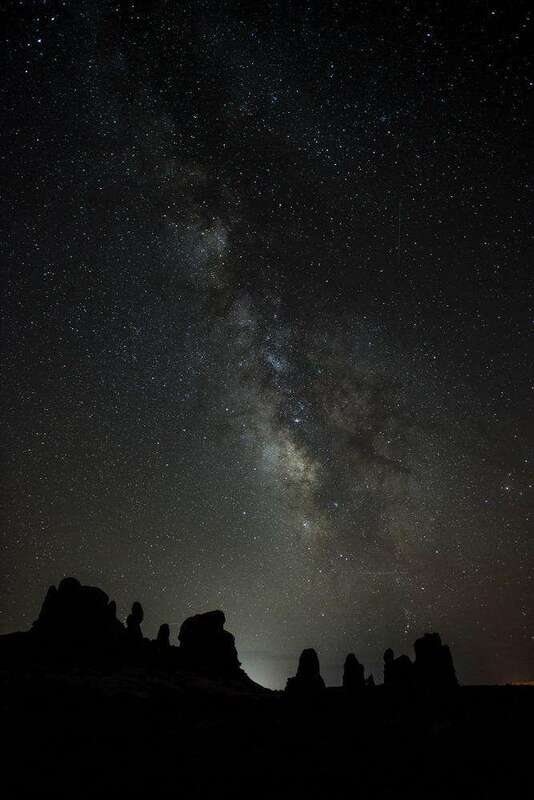 Amazing stargazing from the hot tub, too! Very nice guest...good w communication, respectful of the space, and left the house neat and clean. We highly recommend Guest Jerry to other hosts! My wife and I spent three great nights at the Cowboy Camp and would stay again. The location is great for exploring Southeast Utah, and Colorado, Arizona, and New Mexico are right there too. We loved the decor and all of the amenities were provided. Highly recommended! Great place to stay. Added bonus of a hot tub. We loved it. We four stayed two nights at Cowboy Camp. The location was great, and we really enjoyed the ambiance/motif of the home. It felt very home-like, and all that we needed was there. Hot tub was a nice touch, too. The only down side was our attempt to do laundry (which we had been counting on, halfway through our trip). There was dirty water in the washing machine when we opened it, and after spinning that out, a lot more dirty water seeped in. We tried calling the numbers provided, but did not get any responses. All in all, Cowboy Camp was a good place to stay, but those coming in the future should not plan to use the laundry facilities unless that issue gets fixed. Nice little quiet Home. Would return for sure if ever in the area! The hot tub is a great way to relax after a day of hiking around the nearby national parks. We loved the quaintness of the home! The wood floors are awesome! Loved the informational brochures and magazine informing us of the 101 things to do in San Juan County. 13 and 14 are great! The home is awesome! Blanding is quiet! Southern Utah is Beautiful!!!! the back step has a piece of metal in the step itself. its a tripping hazard if it was my home i would remove that it serves no purpose and it seems unsafe. Other than that I loved the place. Very cute house. The kids loved the bunk beds. Easy to locate and the hosts were very responsive to any questions we had. They also have an amazing book with suggested hikes and places to visit. 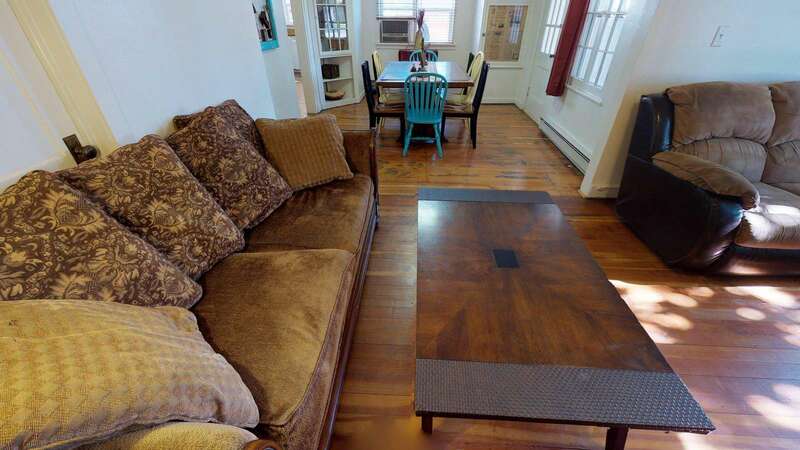 You could easily spend a week or two, and you might see all the area has to offer! Our stay was great. Very comfortable & clean. Jerry was very accommodating. Super cute, clean and cozy! What a lovely old house with character and thoughtful touches, in a quiet neighborhood. Highly recommended.. 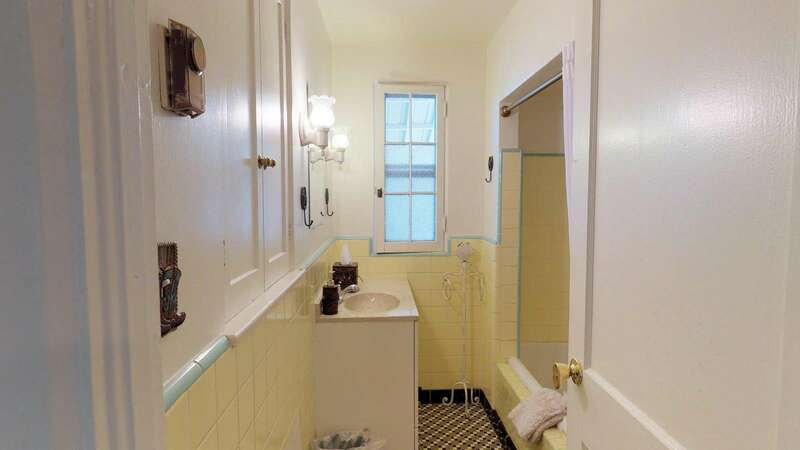 This is such a great property, everything was just as described. Really close to shops and town. Location, cleanliness and travel info were super, as was dealing with the host. House is soooo cute and comfy! My wife and I had a very enjoyable stay at this rustic western themed home. it was conveniently located in a central location to access and enjoy the southern portion of Canyon Lands UT and the many archeological sites. 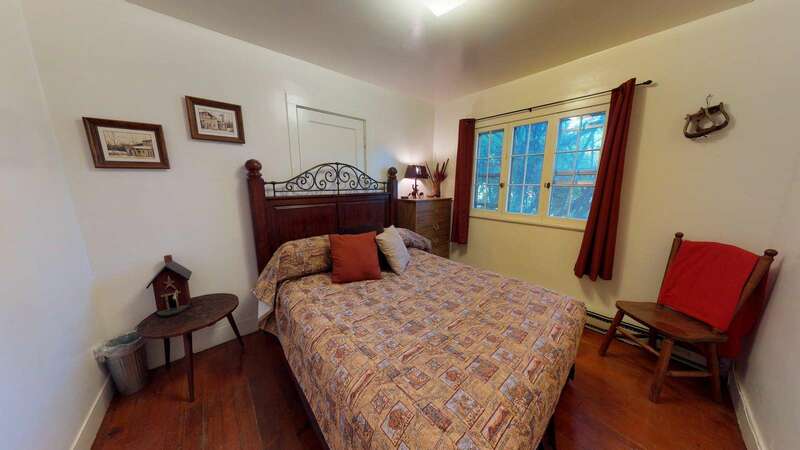 The historic home has been completely renovated to provide a warm and comfortable stay. With a complete kitchen and laundry extended stays are very well accommodated. 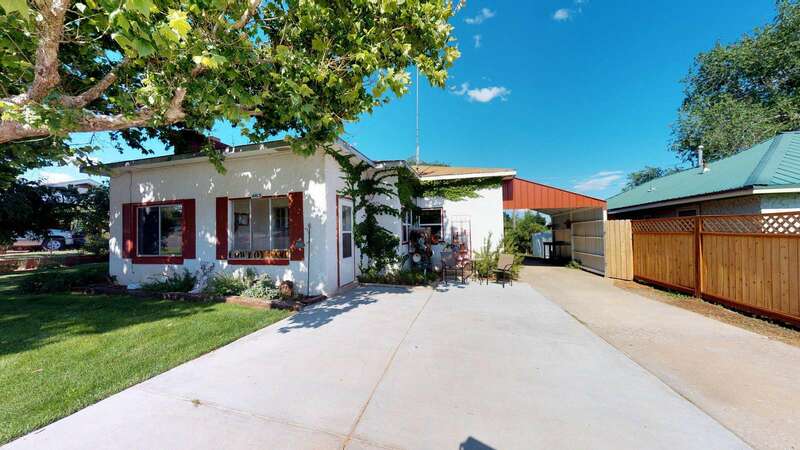 Cute home that was very convenient to amazing parks! Big house off the main street of Blanding. If you don't want to stay in a motel, this place is good. It's got three big rooms and semi-comfortable beds. The house is a bit empty and cold and the internet is almost unusable at times which is bad because there's no cell reception in Blanding, so you're completely cut off. Otherwise, it's a good place to stay. Definitely rustic! Well kept and maintained though, we had fun. We enjoyed our stay here. The beds were comfortable and the kitchen had everything we needed. Well kept and maintained. We enjoyed the location and was a nice central starting point for a lot of adventures. We would stay again. The only changes I would suggest is that Cable/Satellite and a DVD player are listed as amenities and they were not there, only local TV and WiFi. We booked this spot same day during peak travel time. We weren't exactly sure what our plans were, but wanted something in the general vicinity and just needed 1 night. This place exceeded our expectations and if we head back to the area in the future, we will for sure stay there. We loved the decor and fun touches. The backyard would have been great had we had more time. And the location to so many attractions was awesome. I also loved that there was local tips and brochures to check out. This helped immensely as we had no idea what we were doing. Check in was so easy (I love lock boxes) and communication was great. We were in and out with no issue and got a great night's sleep. Again I'd stay there again and highly recommend this spot. Comfortable, well equipped and very nice cowboy motif! Great place to base our adventures from!! Nicely done! If you are staying in Bluff and appreciate it’s history this is the ideal place to stay. 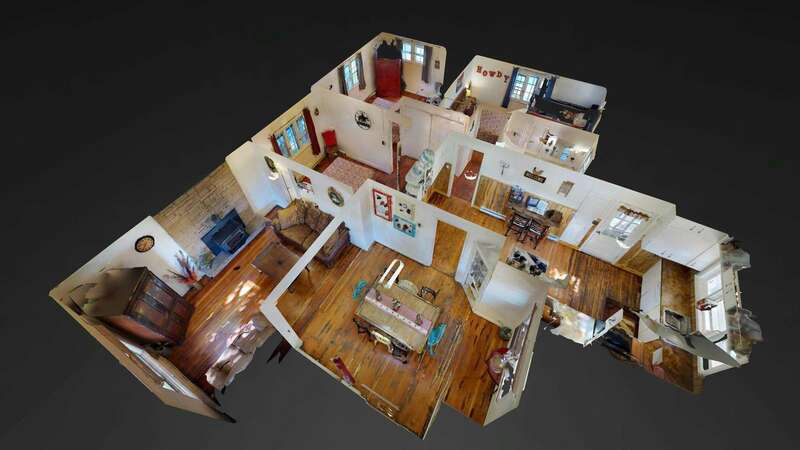 The historic Jens Nielsen home has been beautifully restored and is better than the pictures. 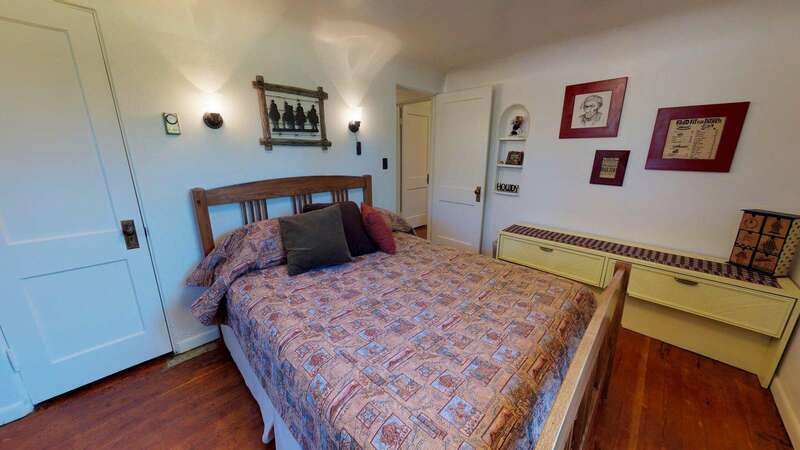 You get to enjoy staying in the home of of a legendary Hole in The Rock pioneer with modern conveniences. Jerry was great to work with, provided clear communication. The place had everything needed and was clean and comfortable. Looking forward to staying here again. 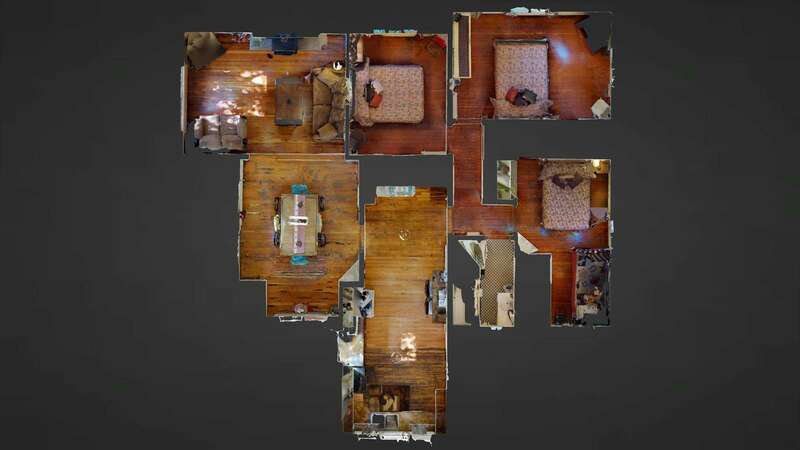 This home is a great option if you are in the Blanding area. With its great access to Cedar Mesa, Natural Bridges and the Bear’s Ears. The pictures are accurate and the place was clean and comfortable with everything we needed for our group of 4. Check in was super easy and Jerry was great about communicating details. Lots of space, lots of towels and bedding. Great location for visiting the four corners region. Needs another mirror and more outlets for getting ready since there is only one bathroom. No cable even though it is listed. This was a great and conveniently located spot! It had all the amenities and the decor gives you an interesting and often adorable taste of the local. They included a large binder of information about the area. I think this would be a great option for a family to stay in. Jerry was a very gracious and responsive host to a few small things that came up during our stay. Super nice person. The house was great for our needs and we recommend! Great place to stay! Would definitely come back again in the future. Thanks so much! Rustic and quaint, Jerry's house easily accommodated our ballooning crew of 6 and dogs. We had a really nice stay, although having just one bathroom made our time-limited mornings a bit challenging! All in all it was a great stay. Clean, spacious, and centrally located. Kitchen well-equipped. Would stay again! Jerry's Cowboy Camp is a great place to stay if you are planning any outdoors activities in Canyonlands NP. 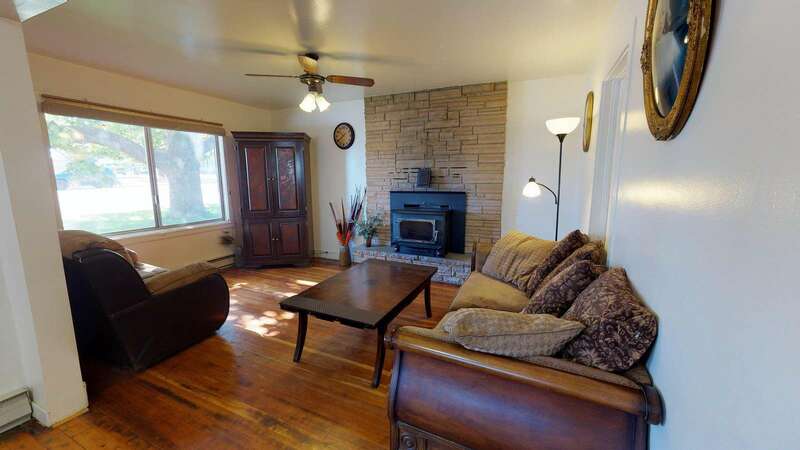 It's well situated - close to the southern access of Canyonlands and Natural Bridges. Cowboy Camp is very comfortable and funky. 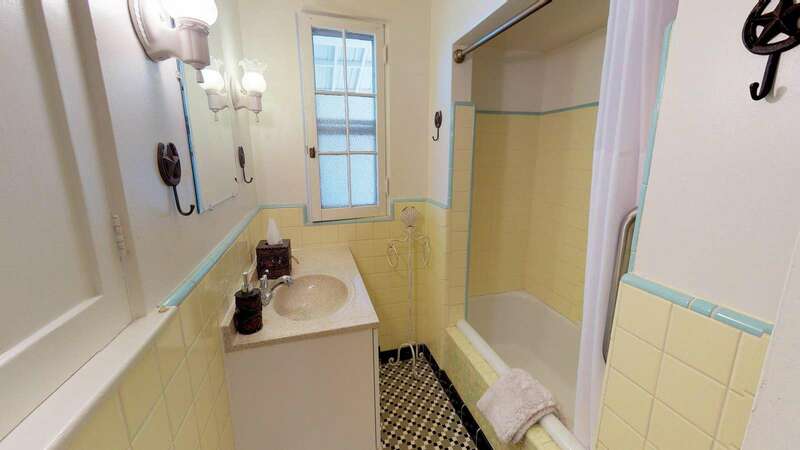 You don't feel like you are in an impersonal space; it's got a lot of character. 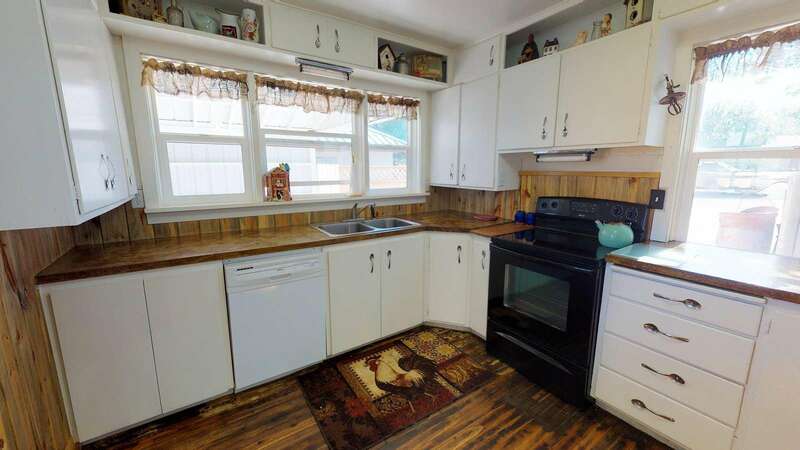 Beds are comfortable and the kitchen has what is needed to make a good meal. Our family of 4 made a feast after many hours of hiking. It has a TV too, but why bother? Southern Utah is sooo beautiful. And if you go out late at night you'll see more stars than you ever thought existed. Thanks Jerry and Tina for a wonderful stay. The cowboy house was very clean and our stay was nice. 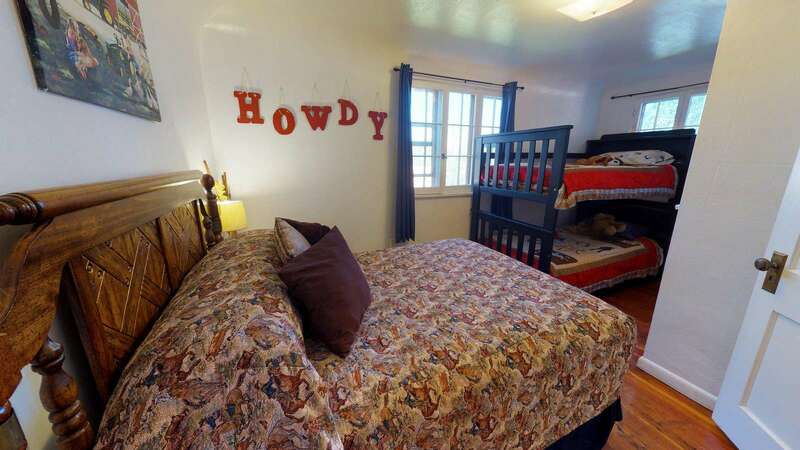 This quirky, spacious cowboy house is fabulous to stay in: the beds are super comfy, there is seating front and back so you can breakfast and supper in the sunshine and there is a laundry in the basement. It's the perfect base for visiting the many beautiful sites in Canyonlands. More over, it's a fun home that has been clearly lovingly looked after. Highly recommended. Easy check in and out. Huge, lovely decorated, cosy home. Had a great stay at cowboy home. Thank you very much! A beautiful and big place! highly recommended! The cowboy house met our expectations and then some! Perfect for two couples, easy check-in and check-out. Grill, patio, kitchen stocked with all the implements and dishes you'd need. Ample linens, and the heat worked too! Thanks for another great airbnb experience. We are repeat customers. In the area? Stay here! We stayed in Cowboy house in Blanding, UT. This place is one of its kind with unique cowboy theme. You'll find interesting antiques and facts inside. The place is neat n comfortable for our group of 8. I've to mention the hosts are very reliable with the booking. Appreciate them clearing off miscommunication and they booked another home with no extra charge. We enjoyed our two nights stay. Thank you! I booked the Cowboy Cabin as home base for a photo shoot around Bear's Ears and it was a terrific choice. It's a cute and comfortable home in a very quiet neighborhood. Well supplied with nice beds, spacios living areas and a great outdoor space. Communication with Jerry was easy, detailed and professional. I will definitely stay again! Our favorite parts of the cowboy camp were the location, the friendly neighbors, the cherry tree, mud room, and the laundry chute. This place is a gem right in the heart of Bears Ears. We wished we had stayed longer than just two nights. Everything we wanted to see was right off UT-95 just south of Blanding. The house was very well decorated with vintage cowboy themed items and very clean. Our dogs loved running around in the yard and had plenty of space to play. The grass was so soft for us to just layout underneath the shade. Because of the shade from the surrounding trees, the house felt so cool despite the 90+ degree temps outside. So cool that we didn't even need to turn on the AC. The washer and dryer are in the basement and there's a laundry chute conveniently located next to the bathroom that you can just drop your dirty clothes in. The mud room was perfect for all our dirty smelly shoes and gear after a long day adventuring. The neighbors were extremely helpful and friendly. We will definitely recommend and return to cowboy camp. 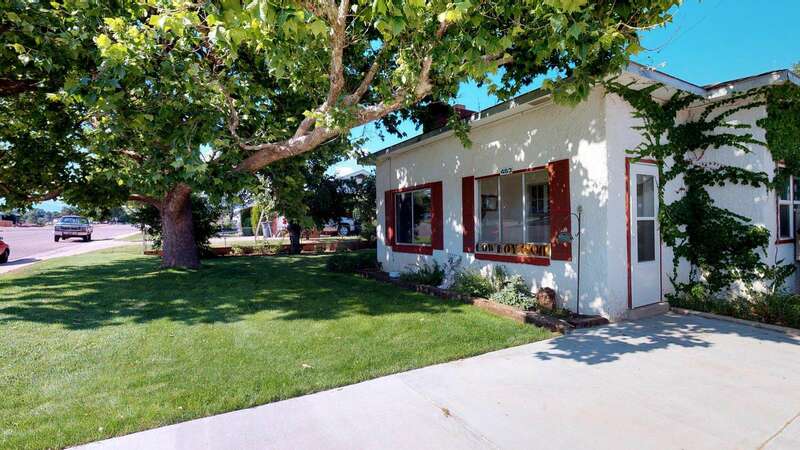 Charming and quaint house with a lot of memorabilia. We loved it! I warmly recommend the cowboy camp place. The Cowboy home was easy to find and stay for the night, comfortable bed and all that i needed! Comfortable rooms, with everything we needed. Loved the back yard patio and table. Very nice place and would go back again. Cozy and unique, a great getaway in the canyon land. The Cowboy Camp is a very cool step back into the past. 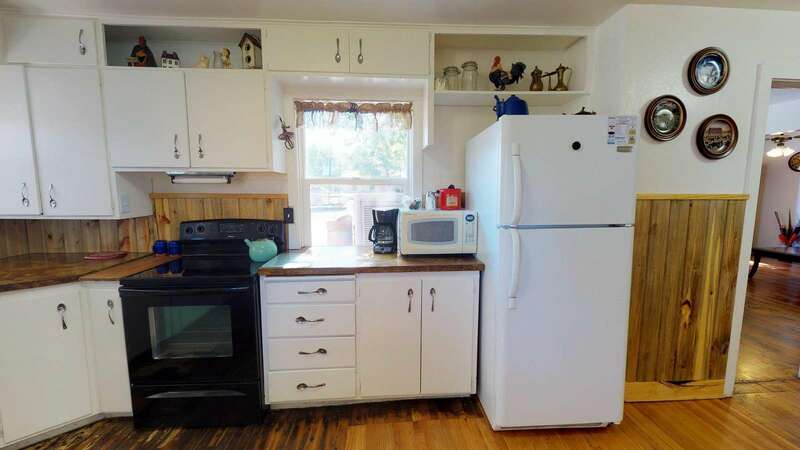 Great value and very nice and quiet location right in Blanding. 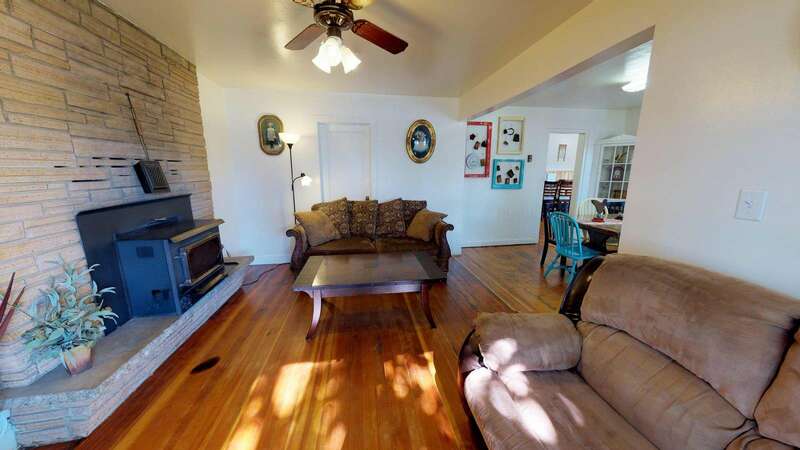 Comfortable beds and well equipped kitchen and a nice yard for our dog to romp in. The house is warm and welcoming. A perfect place to come home to after great adventures to many fantastic southern utahs adventures. With interesting cowboy artifacts, what more could you want? 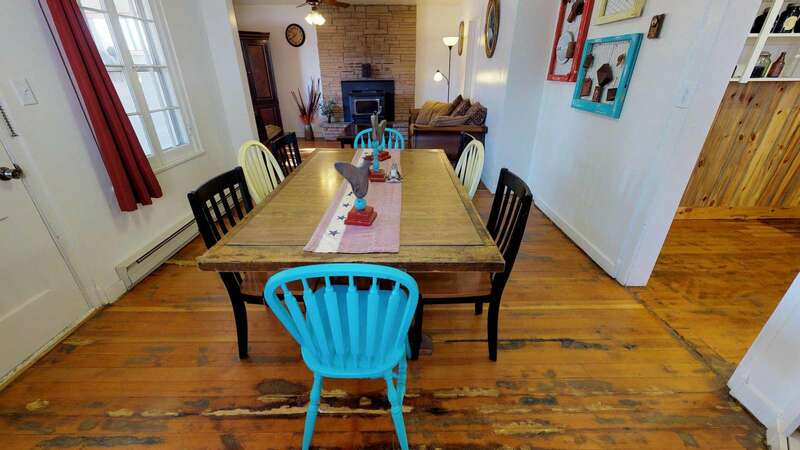 Cute little house, perfect for our purposes and a one night stay in Blanding! We enjoyed our stay at the Cowboy Vintage Home. It was clean and comfortable. If you are into fancy, this probably isn't the place for you. The only recommendation we would make is to install smoke detectors. They are inexpensive, easy to install, and would make guests feel safer in the home. We did experience a few power outages during our visitWe don't know if this was isolated to the home or a neighborhood outage. We did have to work with the bedroom ceiling light to get it to come on sometimes.Thank you for allowing us and our dogs stay at your home. The Cowboy Camp house was a real blast. 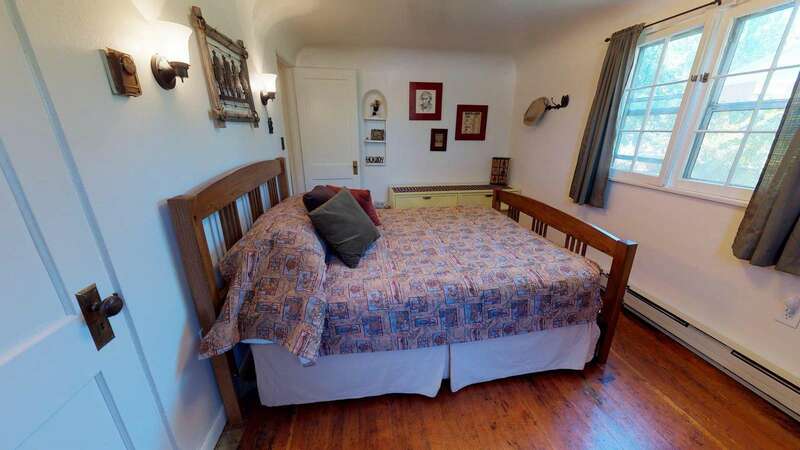 It had nice, old west charm and style and was roomy and warm.The only problem was the next door neighbor has two yippy dogs that go berserk every time you come out of the house. ANNOYING!! !But that was really not a big deal.Great place, fair price, great location for all of the cool things to see and do in the area. Stayed for one night at Cowboy Camp. Had a great time with barbeque and cooking. Enjoyed the American way of German landhausstil (country style) Recommend to house!! Enjoyed our stay for a month at Cowboy Camp. Clean, Spacious, Well Equipped. A great base camp for hiking. Thanks for allowing our dogs. We stayed at Cowboy camp 5/18. Very impressed with everything! Clean, well-appointed. The place has a cool atmoshere, and we hope to stay there again when we return to your beautiful state. 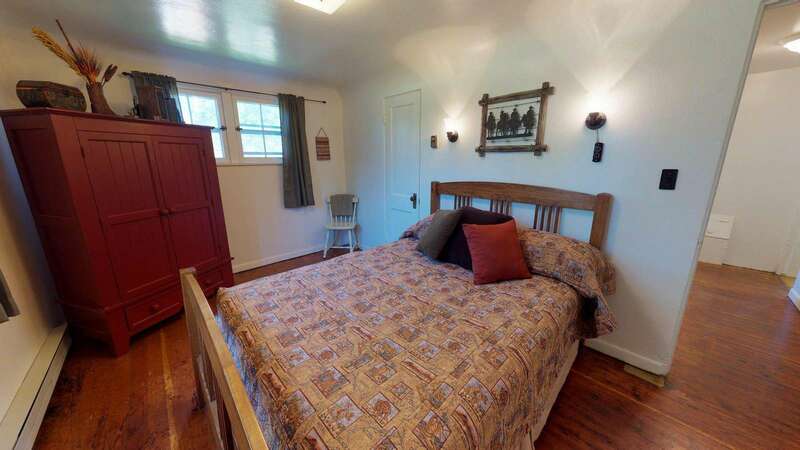 Very quaint and charming house(Vintage Cowboy Camp). The fresh bread and eggs were a nice and thoughtful touch! We could be here a month and not see all this area has to offer. Loved our time here. Thank you so much! Response: The Vintage Cowboy House is really a fun place. Thank you for enjoying this great place with us! 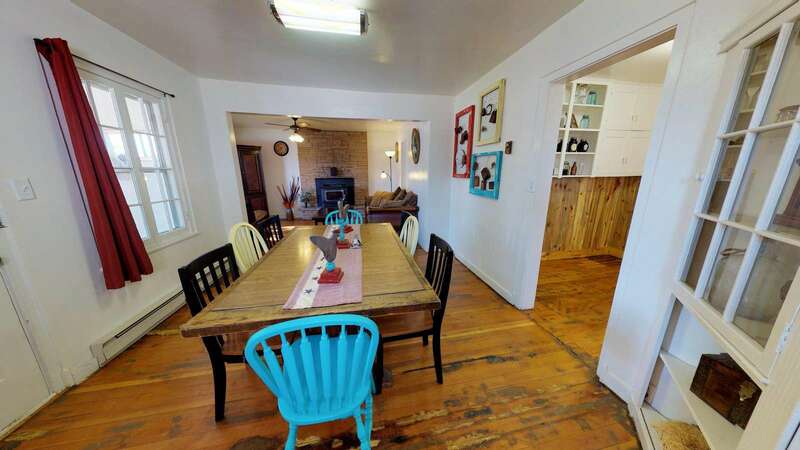 Cowboy Camp House in Blanding is a cozy little house in a nice neighborhood with friendly and courteous neighbors. We enjoyed our stay there. Located near many ruins and petroglyphs, hiking was great! Would stay there again! Well supplied house and good BBQ.